If you are interesting in advertising including sponsored posts and links, please see the SEMRush Traffic Cost . 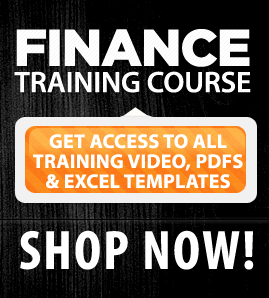 to get an idea of per month advertising rates on the Learning Corporate Finance Portal. The rates get updated every month based on the SEMRush traffic cost. Content for adverting and link exchange pages still needs to meet editorial and related content standards on the site. The one month sponsored link rate in July was 53 US dollars per month. For August this number is at 75 US dollars per month and will most likely go up again in September based on estimated traffic, key word and visitor quality numbers. The total number of advertising and sponsored link slots is limited to four a month. If you are still interested please drop me a line on jawwad AT alchemya dot com. And we can chat. We process payments through Google Check out. This site attracts more affluent (100K plus US annualized household income), older, highly educated Asian males with no kids in the house relative to other sites on the internet. 32% of the visitors are repeat visitors. Visitors growth on a month on month basis is 50% plus and traffic numbers are interdependently verifiable via quantcast as well as Google Analytics. For any questions please write to jawwad at the rate alchemya dot com. The 468 x 60 banner ad in the header appears at the top of every page, next to the blog logo. Only three ad rotations are available. Pricing for the unit is $75 per month. The banner cannot be larger than 15K in size. Animation allowed but no Flash. There is also a 468 x 60 banner ad in the area just above the comments section towards the bottom of each post. Only three ad rotations are available. Pricing for the unit is $50 per month. The banner cannot be bigger than 15K in size. Animation allowed but no Flash. The 728 x 90 Footer Ad appears at the bottom of each page. Only 2 rotations are available. Pricing for the unit is $75 per month. The banner cannot be larger than 25K in size. Animation allowed but no Flash. There are two 300 x 250 ad boxes available. The first box appears on the front page, underneath the first post and just below the Quantified Traffic widget. Your ad will go in rotation with 4 other banners. You may purchase more rotations if you wish for your ad to show up more often – buy 5 rotations and you’ll own the entire ad spot. Price per rotation is $75 per month. The banner cannot be larger than 25K in size. Animation allowed but no Flash. The second 300 x 250 ad box appears in the right sidebar just below the midway scroll point on the page. Your ad will go in rotation with 3 other banners. You may purchase more rotations if you wish for your ad to show up more often – buy 4 rotations and you’ll own the entire ad spot. Price per rotation is $75 per month. The banner cannot be bigger than 25K in size. Animation allowed but no Flash. The 125×125 button appear on every page in the right sidebar. Pricing is $50 per month per button. Only eight spots are available. The button cannot be bigger than 15K in size. Animation allowed but no Flash. There are two 160 x 600 tower ad boxes available. The two 160 x 600 towers appear in the right hand panel, midway down the page. For each tower, your ad will go in rotation with 1 other banner. Price per rotation is $50 per month. The banner cannot be bigger than 25K in size. Animation allowed but no Flash.